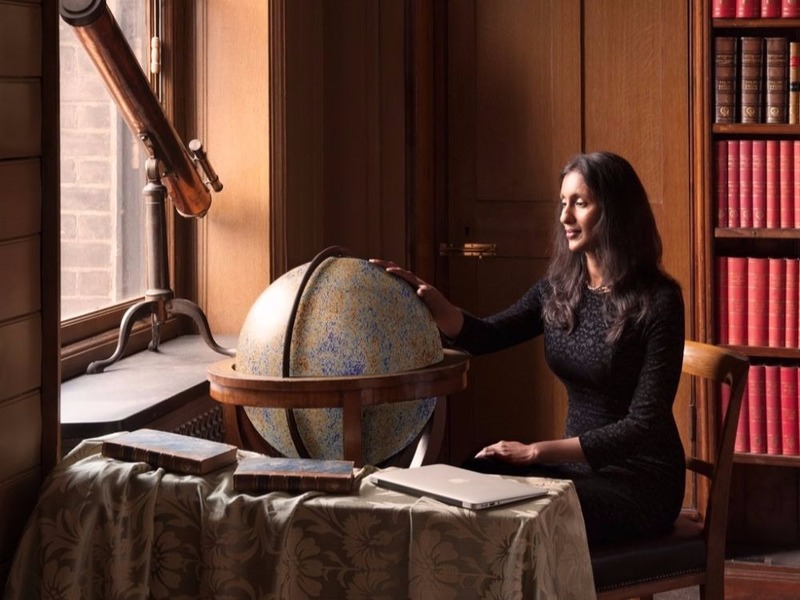 Leading UCL cosmologist Professor Hiranya Peiris (UCL Physics & Astronomy) has shared this year’s $3 million Breakthrough Prize in Fundamental Physics for creating detailed maps of the early Universe. Hiranya Peiris worked as a PhD student on the NASA satellite known as Wilkinson Microwave Anisotropy Probe (WMAP), which helped shape our understanding of the origin, evolution and nature of the cosmos. The mission mapped the cosmic microwave background – the light left over from the Big Bang – to allow scientists to work out the age of the Universe, its rate of expansion and its basic composition. Professor Peiris’ work involved analysing the first round of data from the experiment for cosmological interpretation. In particular, her research led to a significant understanding of the origin of cosmic structure in the very early Universe. “It’s a huge honour to have been part of this project. The legacy of the WMAP mission continues to strongly influence research in cosmology worldwide,” said Professor Peiris. The WMAP mission was followed by the Planck satellite which was operated by the European Space Agency from 2009 to 2013. The Planck project, which focused on analysing the cosmic microwave background with even greater sensitivity and resolution, had significant UCL involvement both on the instrumentation and cosmological analysis, including contributions by Professor Peiris supported by an ERC consolidator grant. The Breakthrough Prize will be shared among the 27 member-strong WMAP Science Team. The Prize in Fundamental Physics recognises major insights into the deepest questions of the Universe.